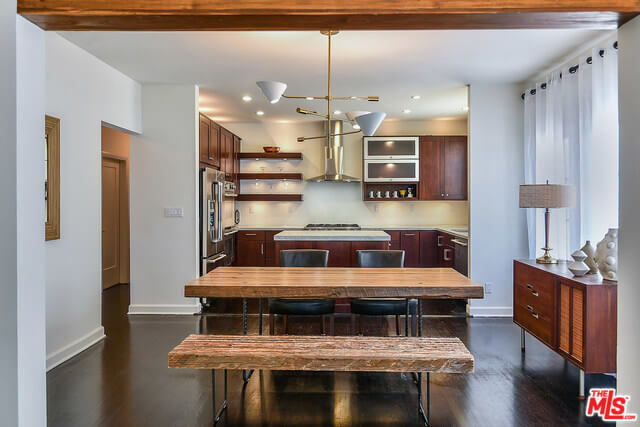 Two units in this fourplex condominium on Sycamore Ave. has been fully renovated with detailed designs and luxurious fixtures. 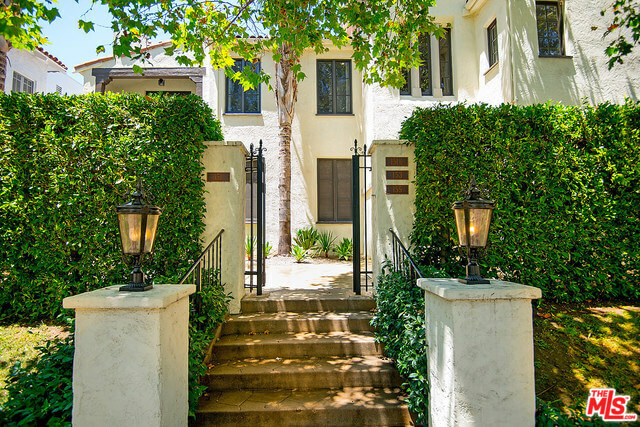 Within the Third Street School District, the area is safe and close to all the attractions in Hancock Park including the Larchmont Village and The Grove. Each unit has 1 parking space and 2 shared guest spaces. Unit 151 ½ is listed for $1.249 million and unit 153 is listed for $1.195 million. Located in the upstairs unit, this property features two private patios, one in the front and one in the back. This unit is 1,415 square feet. 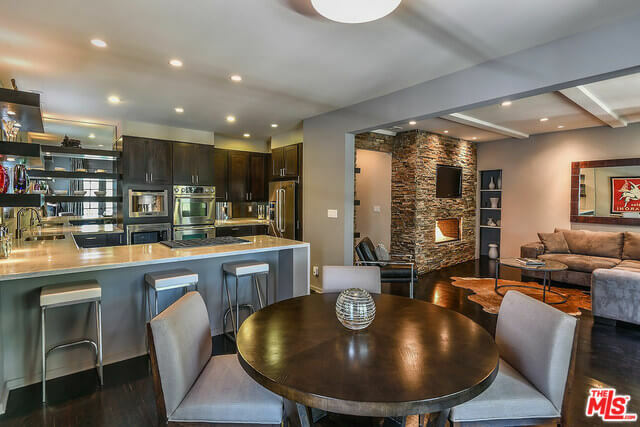 The chic open floor plan connects both the living room, dining area, and kitchen into one beautiful space. The living room highlights a stone gas fireplace with beamed ceilings. Off the dining room, French doors lead to the balcony, and on the other side, there is a gourmet kitchen. The kitchen boasts of its pro appliances, including a built in coffee maker, microwave, double wall oven, and fridge/ freezer. 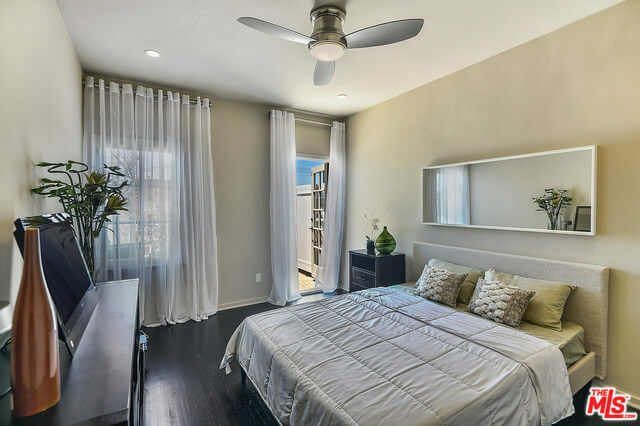 There are an abundance of windows in the living room and bedrooms to bring in natural daylight. This unit has 2 bedrooms and 2 bathrooms with a master + ensuite, while the other bedroom leads to a private patio. This unit is also located in the upper level, and features a private patio and a very hip, loft like open floor plan. The living room, designed with high beamed ceilings, open up to the dining room than kitchen, creating a natural flow. A unique contemporary light fixture is the main focus of the dining room, and a large panoramic window fill the room with sunshine. The kitchen is designed with sophisticated details with pro appliances and a center island. The unit has 2 bedrooms and 2 bathrooms, and the bathrooms in units 151 ½ and 153 are much alike featuring spa- like amenities and designs. It’s really a place to wind down and relax. 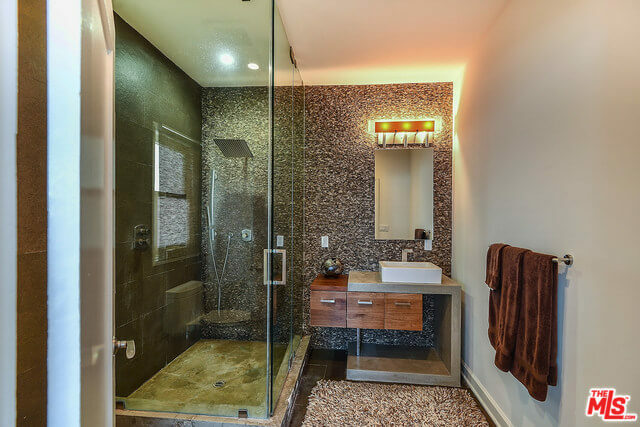 One bathroom in each unit has a bathtub and the en-suite bathrooms have magnificent showers. Both units have hardwood floors and AC central with an HOA feel of 375/ mo. At the Bienstock Group, we connect our sellers with the best committed buyers in the neighborhood. Please contact us for more information!